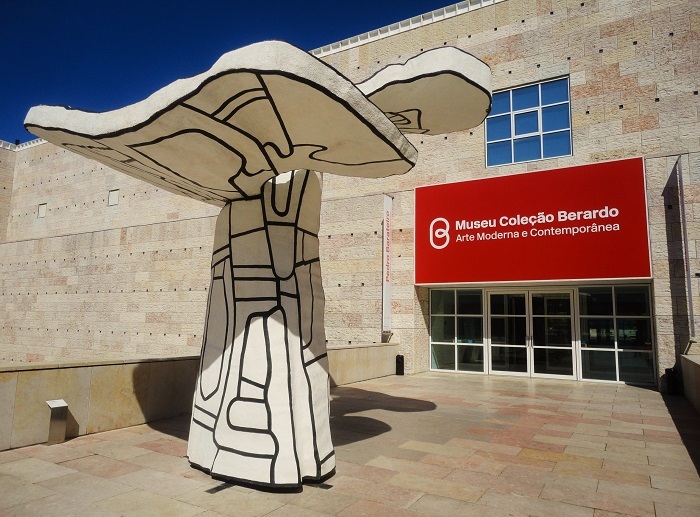 Lisbon and the Sunny Coast: Jean Dubuffet's "L'Arbre Biplan"
I have seen this one here too. Part of a big artwork "Jardin d'Email"in the "Park Hoge Veluwe". Quite interesting, I like it! There is something about all those patterns that appeals to me. You're right about "great" minds! It is different and I like it!! I thought of a whale tail, too! Great capture as always, Jose! Hope your week is off to a great start!! Enjoy the day! I'm on the fence about this one, JM! Love your pic though. It so strange to say that Dubuffet's art looks... old! It would make a great bus stop. I like Dubuffet. Is this a tree? A giant mushroom? How nice is this art piece. You sure have found some unique and beautiful to take pictures of. I am sitting here going through a lot of yours and commenting.